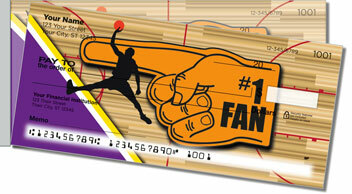 Basketball is a game of heart-pounding energy for both the players on the court and the fans in the stands. At any moment, something amazing could happen that makes you jump out of your seat and cheer. It could be an amazing three-pointer from way downtown, a blocked shot slapped back in the shooter's face or a slam dunk over the heads of the defenders. 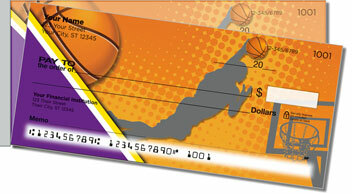 Purple & Gold Basketball Side Tear Checks from CheckAdvantage celebrate your love of this sport and your dedication to your favorite team. 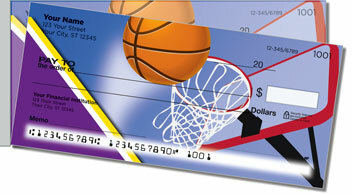 You'll also love how easily you can remove your new checks without any worries of ripping or wrinkling. 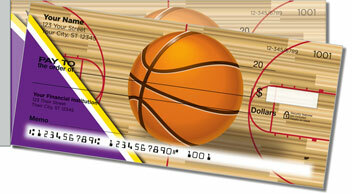 Get your Purple & Gold Basketball Side Tear Checks today! 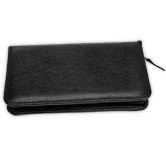 You can also order matching address labels.